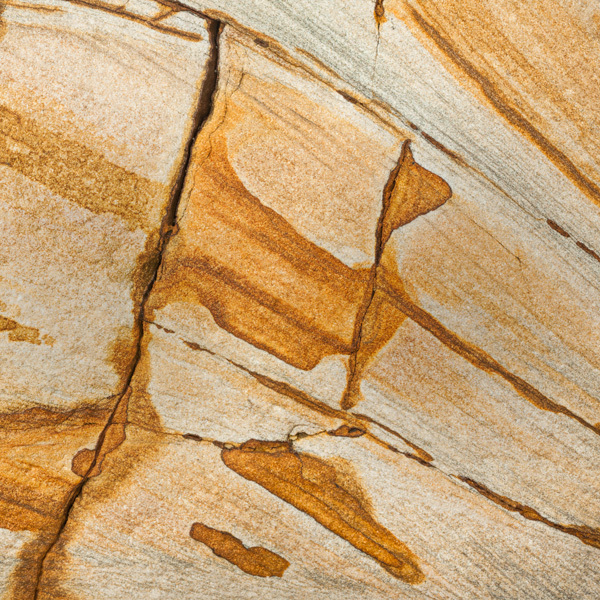 The south east coast of Fife is home to a wonderful array of colourful rocks. By a series of contortions, I was able to wedge myself into a cleft in the sandstone rocks to capture this image. To me, the striations suggest a proud cat, tail held aloft, on it's morning patrol. Photo © copyright by Graham Chalmers.